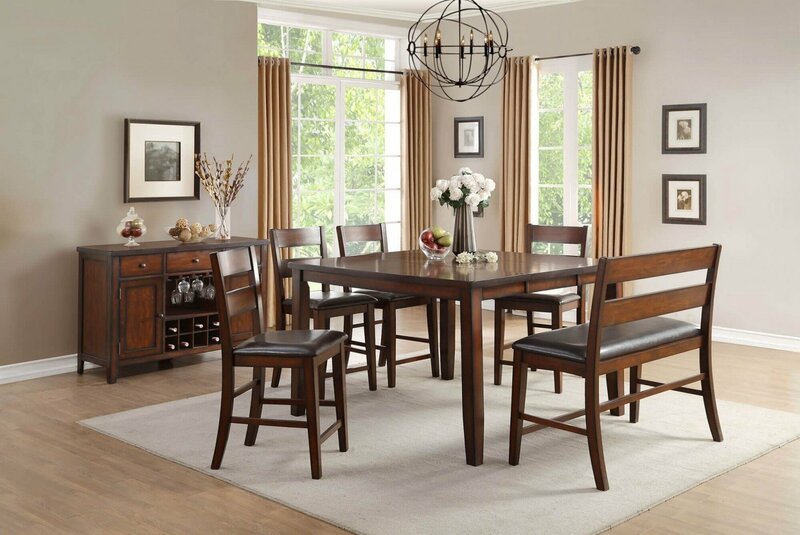 W36" - 54" x D54" x H36"
W52" x D18" x H36"
Transitionally styled for your home is the Mantello Dining Room Collection by Homelegance. 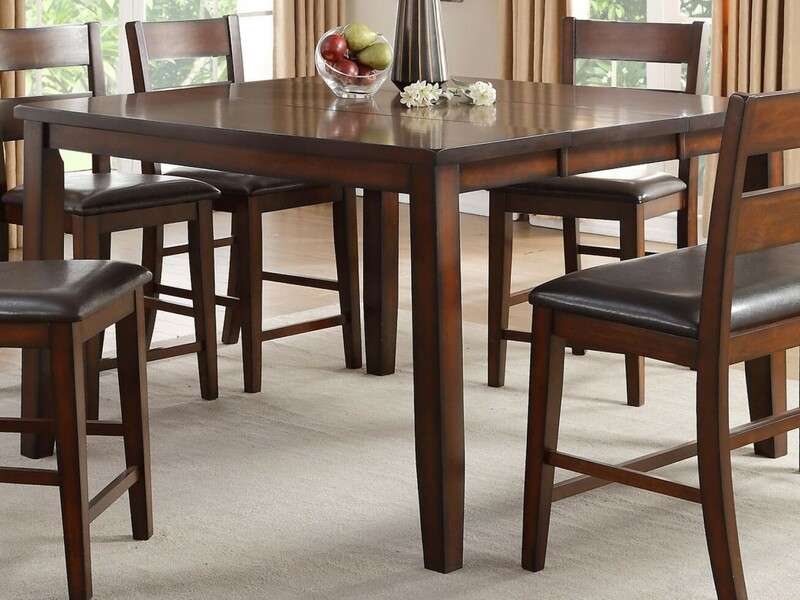 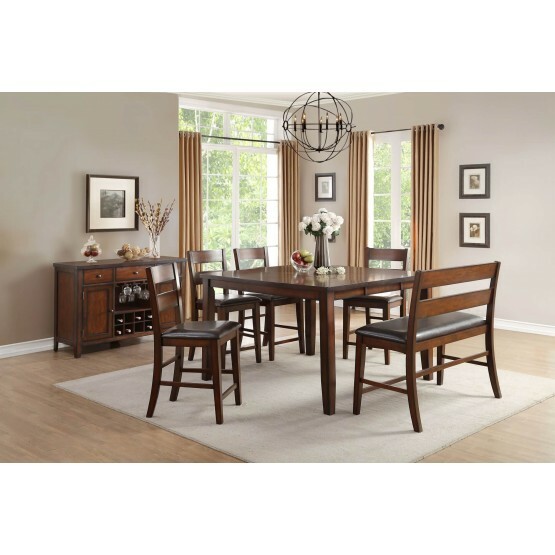 Offered in traditional dining height and counter height options, the collection's cherry finish over mango veneer and classic styling will provide the perfect platform for your mealtime gatherings. 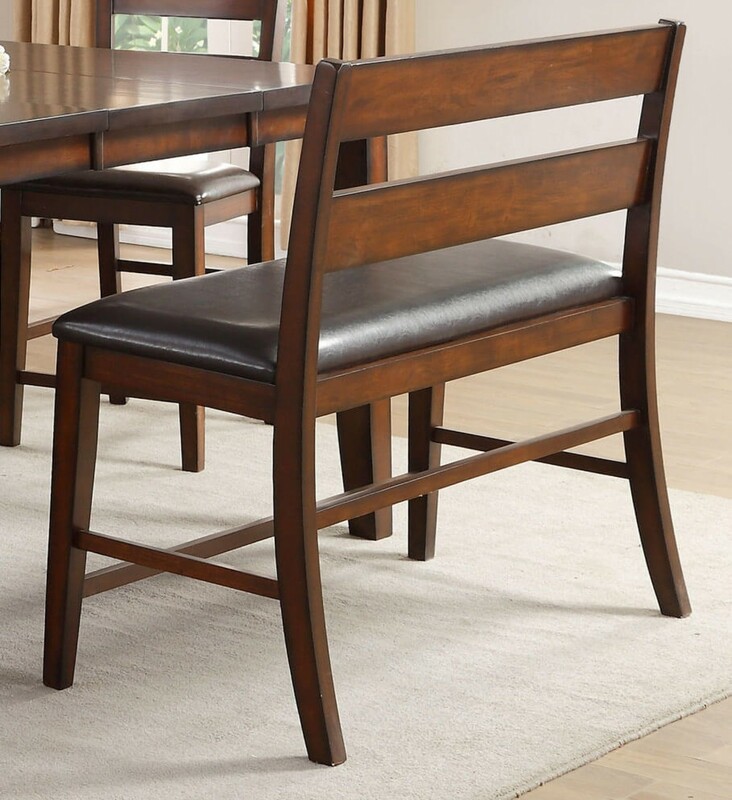 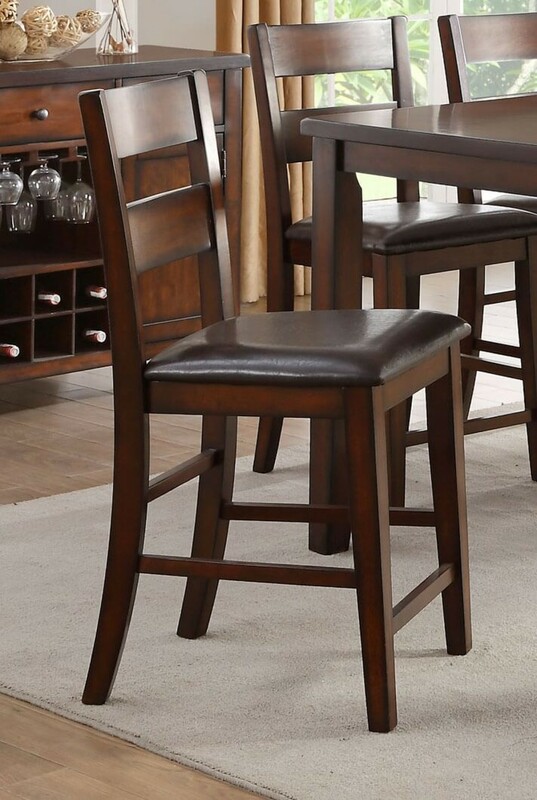 Dark brown bi-cast vinyl covers the available side chairs and bench offerings - traditional flat seat bench for the dining height table and wood-backed seat bench for the counter height table - with the selection of seating being configurable to your specific wants and needs. 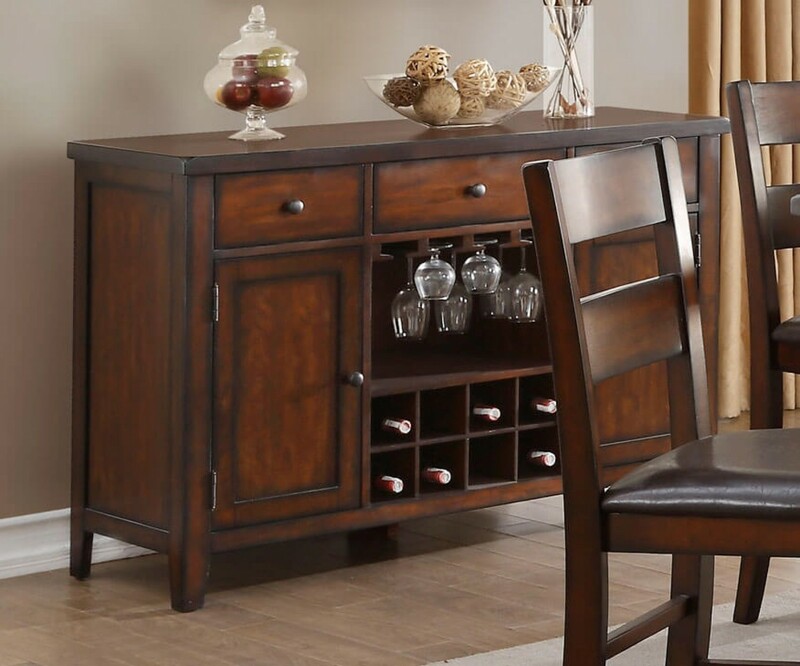 The available server provides functional storage for your tabletop accessories as well as wine bottle rack and glass display.